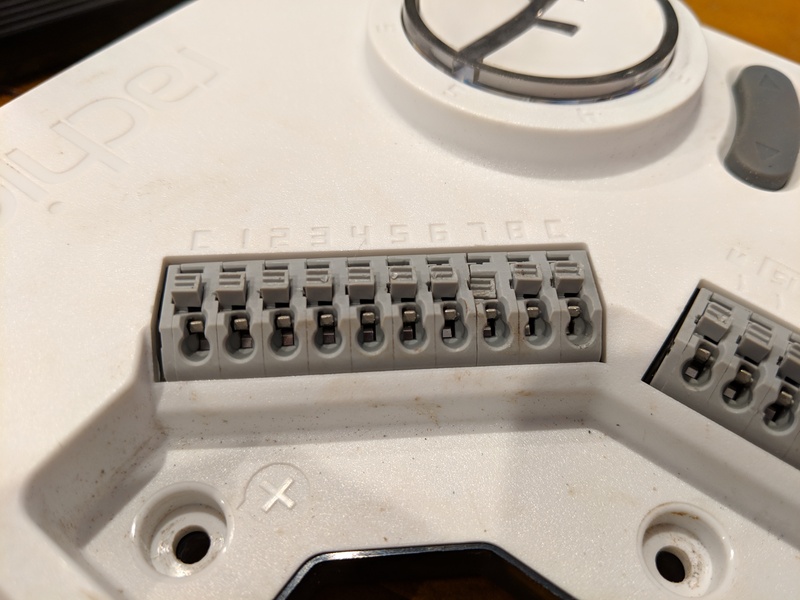 I have been using 6 of the 8 zones flawlessly until today when I decided to extend my 6 port manifold behind the existing Hunter solenoids to add an extra two solenoids and zones. The master valve no longer is releasing when I trigger a zone. I can feel the solenoid tick when i turn on the zone but it isn’t releasing. The Zone solenoids are triggering and opening. I know this because when I manually open the master valve solenoid, the zones start watering. I have changed over the master valve to a new one just in case… same problem. Is it possible that there is too much air in the system from having disconnected the manifolds and solenoids causing the issue? I’ve given up for the day and disconnected the Rachio. Will try get the wire tab to pop out tonight after dinner… but it’d be great to get some guidance as to how to resolve whatever i’ve stuffed up.